Do you want to enjoy the great outdoors with your slobbery four-legged friend? 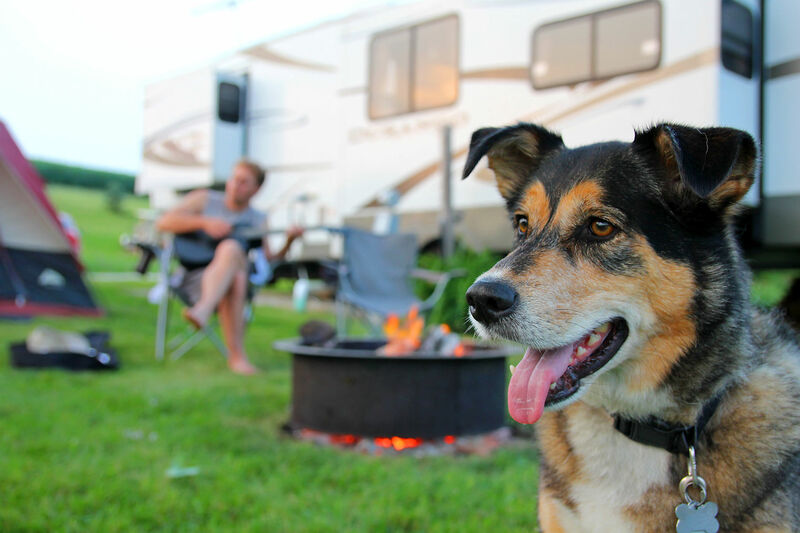 We look at the great ways you can camp alongside your beloved canine companion, and provide you with some tips on camping with your dog. Nothing signals the start of summertime than planning that great camping trip with friends and family. The wonderful news is that your beloved pooch doesn’t need to be left behind. However, like with all camping trips, planning is paramount. Firstly, you need to find a camping ground that is dog friendly. This is made easy with great websites such as www.campsaustraliawide.com/faq/free-dog-friendly-campsites/. It’s also a good idea to give the campsite a call to check that their rules haven’t changed in regards to dogs. Sadly, because some dog owners have not adhered to the rules and regulations of the campground, some campsites are now off limits to paws! Training – Your dog needs to be recalled easily and able to walk happily on lead. Good behaviour – if your dog has issues such as excessive barking, aggression, inter-dog aggression or any other dog behaviour that might disrupt or harm other campers, you may need to reconsider the adventure and stay closer to home or leave your dog at a dog kennel. Tents – get your dog used to the tent. Seasonal campers will know that tents can make all sorts of funny noises in the wind and rain, so get your pup desensitised to these unusual sleeping arrangements with a trial-run on the back lawn. Dog Crates – these are a wonderful accompaniment to camping and can be your dog’s ‘safe’ area. If your dog is crate trained, it’s a great idea to take the dog crate with you on your adventures. Fitness – get your dog prepared for the extra fitness required when experiencing the great outdoors. Think long walks through the bush and other areas. Rover is officially ready for his first camping adventure. What now? Dog Vaccinations – make sure they are up-to-date and take the relevant paperwork with you as some campground will want to see vaccinations certificates. Fleas / ticks / worms – get your treatments now, and take some with you if you are going on an extended trip. More information on worms found here. ID Tags – ensure your microchip details are up-to-date and have a special camping ID tag made. My name is Rover and I’m camping with my owners please keep me safe and call XYZ. You can even have a friend’s contact number on here who will have dates of what campsites you will be at during your trip. Remember to update your contact if the dates change. If you are only staying at one site, put the name and number of the campsite on the ID tag. Contact – let people know where you are and give contact information. Nominate a friend or family member. Sturdy dog lead & collar (think glowing) – also travel with spares. Glowing dog collars are great for night time. Tether lead and stake – a nice long strong dog lead as you may need to tie your dog up (supervised of course) during your stay. 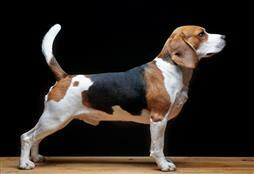 Having a nice long lead will allow them to move around without too much restriction. Food / water – Have enough food and water for your dog. Use ‘weatherproof’ and heatproof bowls (keep away from stainless steel bowls as they get hot in the sun) and always have water on hand for your dog. POOP BAGS – it is vitally important you pick up after your dog. The main reason dogs are not allowed on campsites is because of dog poop. Dog towel – Rover will like his own please. Dog Toys and snuggle pets – take his and a few new ones for extra enticement. Dog bed – take your dog’s bed as it will give them a huge amount of comfort and security during the trip. Now your are all set to safely go camping with your dog! Tips on safely transporting your dog found here.